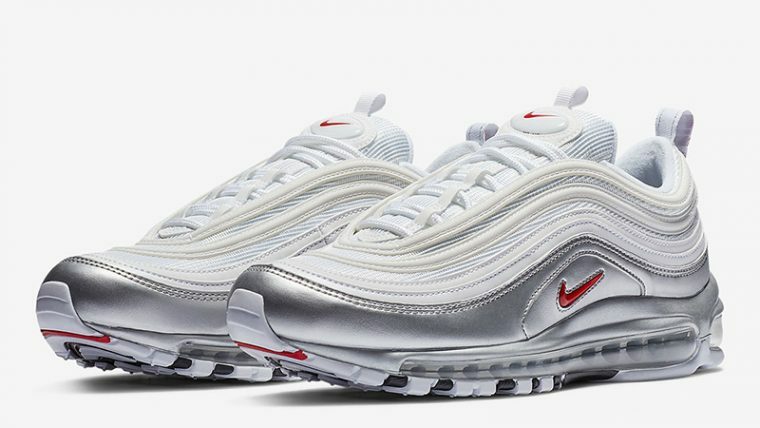 A shimmering colourway transforms the Nike Air Max 97 White Silver Metallic Pack. 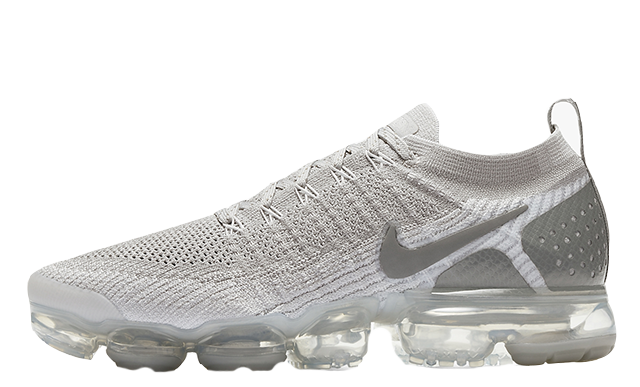 As one of the most popular Swoosh silhouettes, this clean rendition is sure to fly off the shelves in no time. 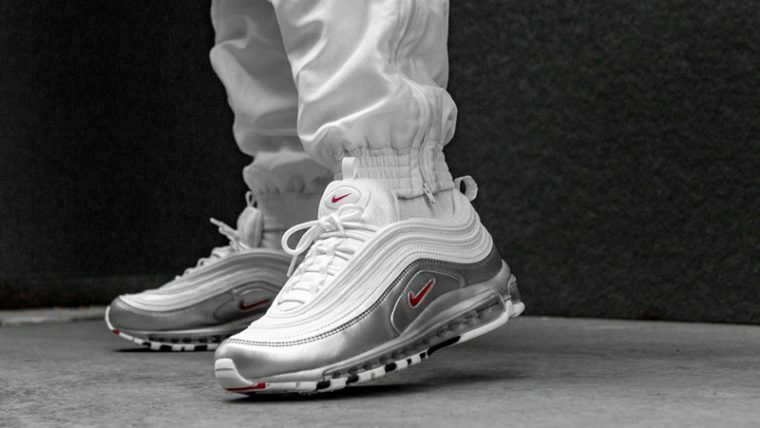 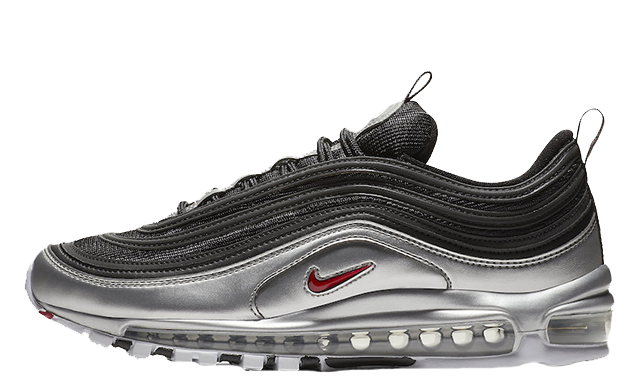 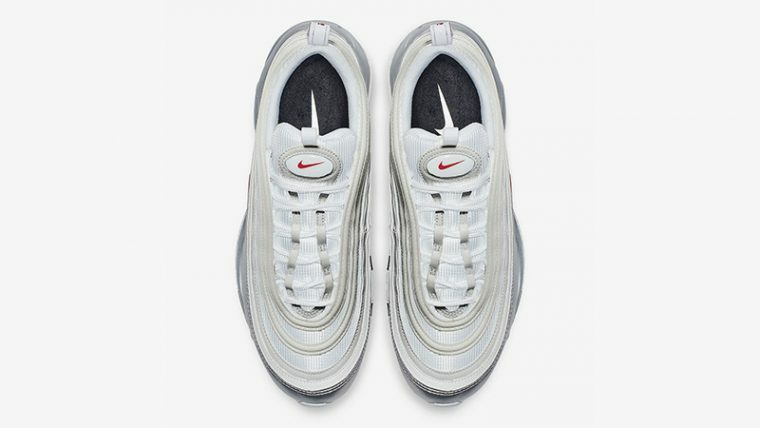 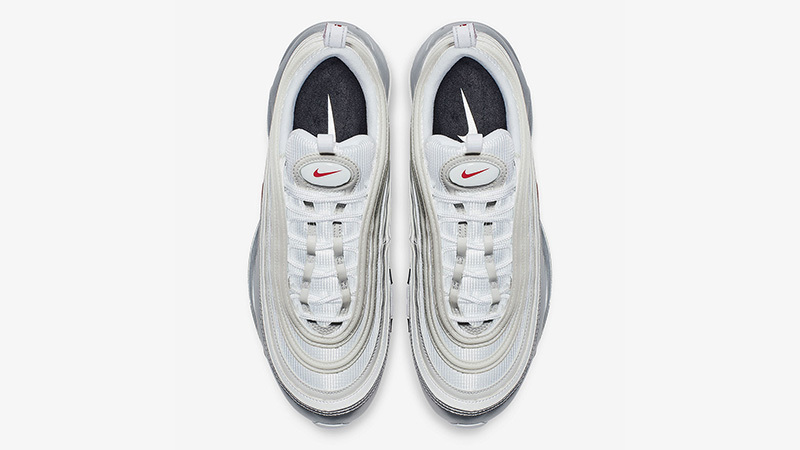 Arriving in a sleek white/varsity red-metallic silver-black colourway, this sneaker combines some of the most sought after Air Max 97 designs. 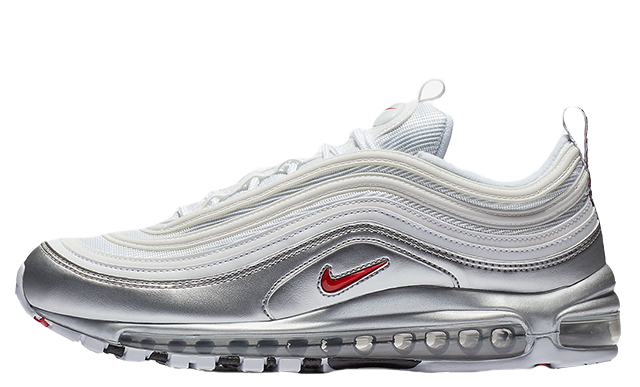 The top half of the upper is painted in a chic bright white hue, while the bottom half is decorated in a silver finish that glimmers in the light. 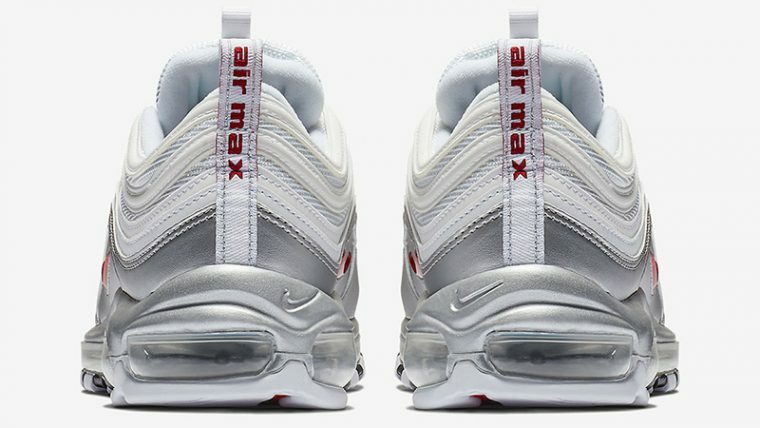 A small red Swoosh logo is embroidered on the side panels, while a full length Air unit sits under foot for additional comfort. 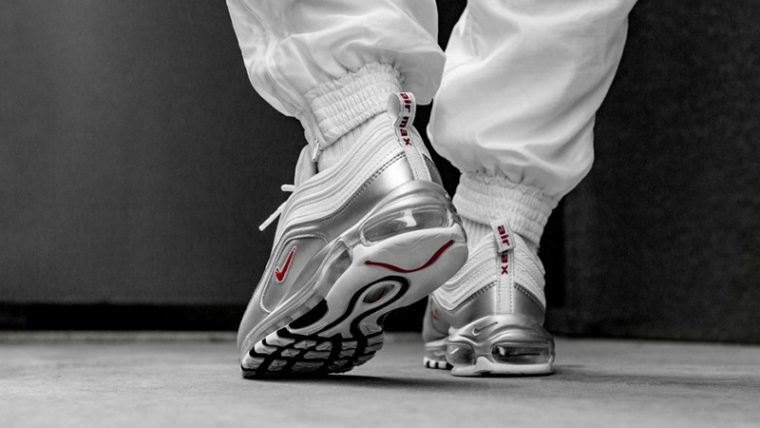 If you’re still searching for the perfect pair of statement sneakers for Autumn/Winter, then the Nike Air Max 97 White Silver is an absolute must-have and guaranteed to dazzle in any shoe collection. Releasing as part of the Nike Metallic Pack, the Nike Air Max 97 White Silver is set to arrive on November 9th alongside several other metallic colourways. 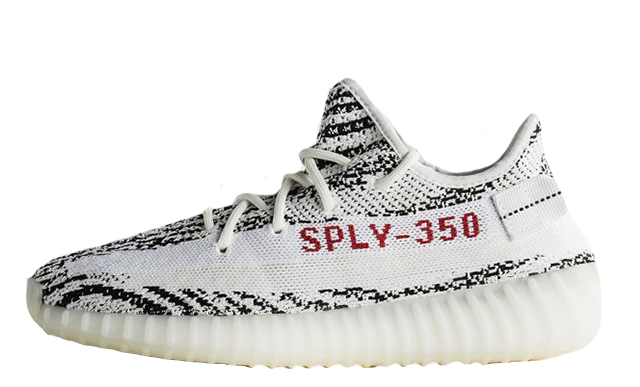 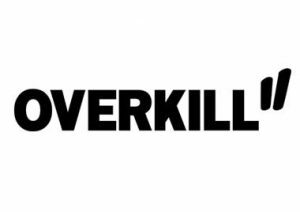 Be sure to click the bell icon above for release reminders ahead of the launch, along with an email alert as soon as this pair goes live! 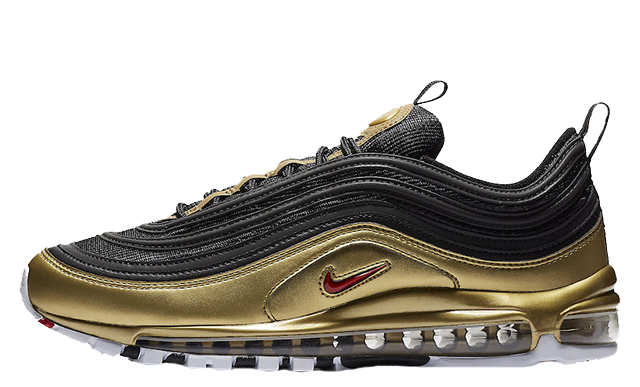 You can find more Nike Metallic Pack Release Dates here!